Over the last several years, I have met many other women in the “Grieving Mothers Club”—the club none of us wants anyone else to join. One such mother is Mae Renfroe, who lost her second-eldest son, Clayton, in a quadding accident in April of 2017 at the age of fourteen. Mae recently reached out to me and offered to share her story with my readers, hoping that you may be encouraged. It was an ordinary spring day in 2017 when twelve-year-old Sam Renfroe found his fourteen-year-old brother Clayton’s body pinned under a quad in the woods near their home. That day changed life for the Renfroes forever. However, as they grieved, they were sustained by their strong faith in Jesus Christ. “The thing that helped most was feeling that there had to be a reason for this and that it was God’s will. Even though it seemed completely senseless, I felt a peace that only God can give. Since it seemed like such a ‘freak’ accident, it was clear to me that it was our son’s time to go, and that God had a plan for us in it. Accepting that fact, even though I was in great sorrow, gave me peace, comfort, and strength. It kept me going,” Mae says. Mae and her husband, Paul, live in the rural community of Deadwood, Alberta. Including Clayton, they have eight children, with number nine due in April of 2019. Besides her faith, Mae found several things helpful with her grieving process during the first year, including reading books on grieving, listening to praise and worship music, prayer, and keeping busy with the other children—especially their eighth child, who was only three months old at the time of Clayton’s death. “One time, I looked at her with tears running down my face and said, ‘You’re here just for my joy, aren’t you?’” Mae says. The Renfroe family before Clayton’s death. As she grieved, Mae felt God speaking to her through both the books she read and music she listened to. Some of the books were about grief, including personal testimonies of people coping with loss and tragedy, and some were for developing her Christian walk. Both had an impact. “I felt God in such a real way, like he was personally speaking to me through those books, especially the one I was in the middle of reading at the time our son died. That was a wonderful feeling. When I laid down to nurse our baby, I would get that book off my headboard and read. It was like God knew what I needed to hear right then and purposely had me reading that book ‘for such a time as that.’ And of course, God does know what we need before we do and without us asking. I love how our Heavenly Father works,” Mae says. Mae believes she has been grieving well, and credits the support of not just God, but also her mother in helping her get through times that are more difficult. “There are still moments when things hit me and it hurts. In those times, I either I go to God in earnest prayer, where I find solace and comfort, or talk to someone, such as my mom, who understands and can help me walk through my pain again and help me to see things the way I should,” Mae says. Paul and Mae have helped their children navigate the grieving process by talking and praying with them and being available when they needed to share their feelings. The children have been handling their grief in different ways, from talking to their parents, journaling and other forms of writing, and through the passage of time. “Sam took it very hard. He was Clayton’s best buddy and only roommate and did everything together with him. There were various things he had to work through. It took at least the whole first year until Sam could look back at it and see it as okay. I think having us to talk to has helped the children understand that when our time here on earth is over, there is nothing that we can do about it but trust in God,” Mae says. Since the accident, Mae appreciates each of her children more, and tries not to take a single moment with them for granted. “I feel like I have a different outlook on life. More than ever, I see my children as the precious blessings and gifts from God that they truly are. I view each new day as a gift and life itself as nothing short of a miracle. I don't live in fear and still make plans for the future, but I also know that we are not guaranteed another day. However, I have right now, and I plan to use this moment for God. Time is short, we need to use it wisely,” Mae says. For other grieving parents, Mae recommends that they allow themselves the necessary time to experience the process. “We all grieve differently. There is no quick fix, these things take time. Don't rush the grieving process or healing. You will never get over it, but you will learn to live with it. And don't try to understand it or figure out why. I don't think we will ever know completely why this side of heaven, and that's okay, we don't need to know. We just need to know who is in charge and on the throne,” Mae says. 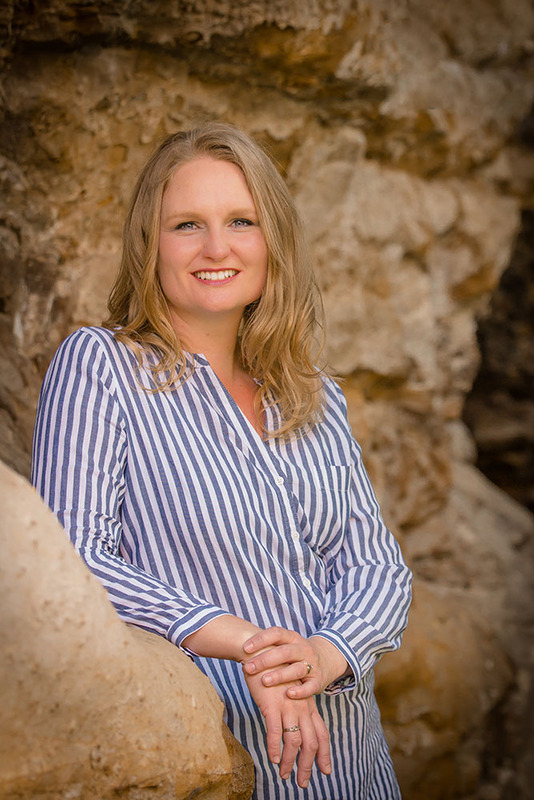 Since losing Clayton, Mae has been working toward her certification as a Christian Life Coach, with a focus on purposeful mothering and helping women cope with loss. She and her oldest son, Nathan, are also authors. While Mae wrote through her grieving process on her blog, Nathan created a booklet about his experience called Sunshine from Death. The Renfroe family has come through this tragedy not just surviving, but thriving, thanks to their faith in God and their love for each other. “In difficult times like these, pull into Jesus. Start praying and don't stop. He will be the lifeline that strengthens you to keep going and gives you new energy and joy. Your story doesn't end with your tragedy. Rest in God, knowing He is with you and for you and has an amazing plan for you in and through this,” Mae says. For more about the Renfroes, their amazing story of faith and hope, or Mae’s grief coaching, please check out their website at http://www.lightsforjes.com/ . I thought I chose the surest road but that road led me here.